There’s nothing more heartbreaking than watching your pet pant, drool, whine, hide or even harm themselves because they suffer from fear, anxiety or stress (FAS). Despite the fact that that an estimated 50% of pets suffer from FAS, this condition is still not well-known and pet parents may not know where to turn for help. That’s why I created a Pet Anxiety Awareness (PAAW) campaign in June in partnership with experts, veterinarians and companies providing meaningful solutions for FAS. The official PAAW kick off week begins June 2-9th and will continue throughout the month of June 2019. The goal of this special week is to spread the word about FAS and help pet parents understand the symptoms and how to find real solutions. In addition to the resources below, I’ll be posting blogs about helpful products, sharing advice from other experts, and interviewing leading authorities on this important issue. Why devote a whole week to pet anxiety? I am Kristen Levine, pet living expert and in 2017, I founded the Pet Anxiety Awareness campaign (PAAW). Through my own personal experience with my heart-dog, Buck, I understand the struggle pet parents face when dealing with fear, anxiety, and stress (FAS). For some pet parents, the stress and complications of having a pet with FAS can become too much. Behavior problems, often related to FAS, are the number one reason pets are surrendered to shelters. By devoting an entire month to this heartbreaking and difficult issue, I hope to make pet parents more aware of it and give them everything they need to help their best friend, including education, tools, resources, and most of all, hope! SILEO is a medication prescribed by your veterinarian to help calm your dog when frightened by loud noises (noise aversion). Common noise aversion triggers include fireworks, thunder, construction work, traffic or street noise, celebrations, vacuum cleaners, and smoke detectors. SILEO is different from other treatments and medications because it is the first and only FDA-approved treatment for noise aversion in dogs. It’s clinically proven to be safe and effective without other treatments or training and it calms without sedating through an easy-to-administer, at-home treatment. Fear, anxiety, and stress is the result of a neuro-chemical reaction in a pet’s brain. It can be brought on by any number of situations, including a sudden change in their environment, past trauma, being left alone, certain medical conditions, storms or fireworks, and breed. But many times, it’s impossible to know exactly why a pet is displaying signs of FAS. If you’re a pet parent whose dog or cat is suffering from FAS, I invite you to use this page to learn more about FAS and to access valuable, expert guidance on the subject. In addition to the resources listed here, be sure to speak to your family veterinarian as well. 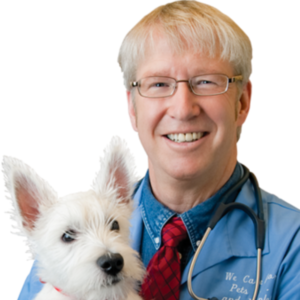 He or she can help you put together a comprehensive treatment plan for your pet’s specific needs. If your pet’s problem is severe, consider consulting with a board-certified veterinary behaviorist near you through the American College of Veterinary Behaviorists. Does your dog suffer from noise aversion? Use this checklist to identify triggers and behaviors. What are You Doing for Environmental Enrichment? In addition to the above resources, you will find numerous helpful articles on Fear, Anxiety, and Stress in Pets right here on the Pet Living Blog. Zylkene® is a behavior supplement formulated with alpha-casozepine, a clinically proven ingredient that helps dogs and cats relax without causing sedation or drowsiness. Contained in a vegetable-based capsule, Zylkene is highly palatable and easy to administer by feeding whole or opened at meal time. 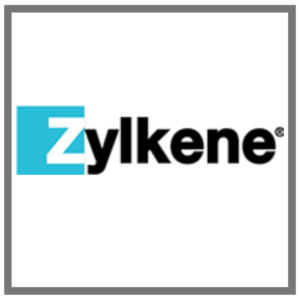 Zylkene comes in three strengths to provide flexible dosing depending on a cat or dog’s size and is ideal for helping pets cope with short-term or long-term stressors such as thunderstorms, fireworks, traveling, veterinary visits, moving or adapting to new people. Visit www.myhappypets.com/zylkene for more information. 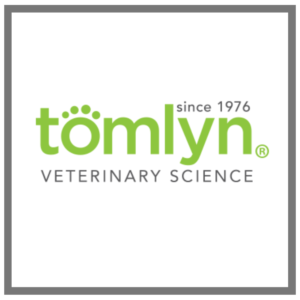 Tomlyn’s Relax & Calm is a tasty chew that can help dogs and cats cope with stressful situations. The product contains two active ingredients L-tryptophan and chamomile, which help promote a sense of calm and relaxation. The third active ingredient, ginger, helps settle uneasy stomachs that often accompany stress and anxiety in pets. Relax & Calm may help in these situations: thunderstorm or firework phobias, veterinary visits, boarding, traveling, new environments, loud noises, vacations, kenneling, introduction of animals, changes at home – visitors, new baby, guests, and being home alone. Find these products at your favorite pet store. ElleVet Sciences hemp CBD chews and oil for pets gives pet owners an extremely effective and safe way to alleviate stress and anxiety in your dog or cat. CBD is known to have a profound anti-anxiety and calming effect without sedation or side effects, and veterinarians throughout the country have been using ElleVet chews and oils to treat their anxious or stressed patients. ElleVet CBD products don’t sedate your pet, just calms them. Rescue dogs, dogs with separation issues, dogs with thunderstorm or car ride phobias and obsessive behaviors are all great examples of situations where ElleVet has proven to be highly effective. 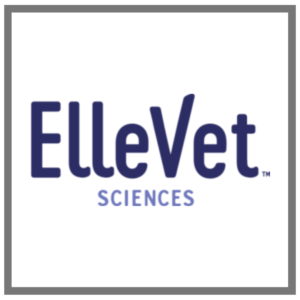 You can trust ElleVet as the only company to have done clinical trials with both Cornell Vet School and the University of Florida Vet schools. Your pet trusts you to help them and vets trust ElleVet as the only tested CBD product available. 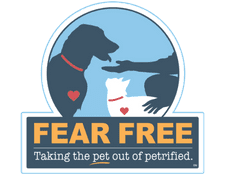 Developed by “America’s Veterinarian,” Dr. Marty Becker, the Fear FreeSM initiative aims to “take the ‘pet’ out of ‘petrified’” and get pets back for veterinary visits by promoting considerate approach and gentle control techniques used in calming environments. Utilization of Fear Free methods and protocols leads to reduction or removal of anxiety triggers, which creates an experience that is rewarding and safer for all involved, including pets, their owners, and veterinary health care teams. The end result? Calmer, more accepting patients, more compliant clients, and better veterinary care. VetVine® is an online educational resource for veterinary professionals, pet care providers, and allied industry friends and supporters of the profession. Powered by veterinary specialists and industry experts, VetVine® also provides educational resources including webinars and articles on pet health topics for pet owners. 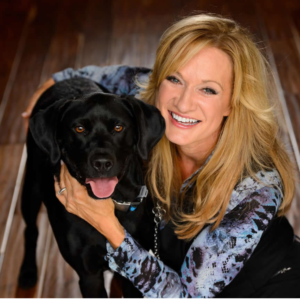 Laura Nativo is a TV host, pet lifestyle expert, Certified Professional Dog Trainer, Karen Pryor Certified Training Partner and proud dog mom. With her tips on positive reinforcement training, she helps make dog training easy, accessible and fun for both ends of the leash.